You are here: Home / Skincare / Sunburn / Sun Protection In A Pill! Sun Protection In A Pill! Sun protection is perhaps the most important part of any skin-care regimen. Whether you live in a sunny or cloudy climate, sunscreen should be worn at all times. However, the task of applying and reapplying sunscreen can become extremely tedious. 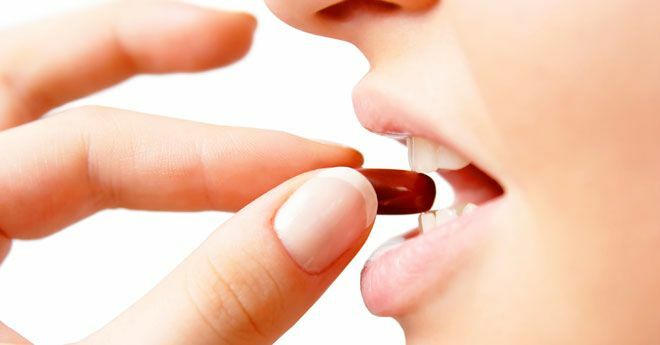 But it turns out that our constant cries for something easier have been answered in the form of a little pill. Scientists have worked for years, if not decades, to develop an oral supplement that could provide adequate sun protection. The most current one, Heliocare ($28), has been given to patients who have had skin cancer and has been popular in Europe for several years. But is it too good to be true? While Dr. Richardson wouldn’t recommend this product as a stand-alone way to prevent sun damage, he says that it’s a great option for athletes or those who spend a lot of time outdoors. Just be sure to use a topical sunscreen for added protection. “Use a full spectrum sunblock that will provide UVB and UVA protection that is at least SPF 30 and has zinc oxide,” says Smithtown, NY, dermatologist Marina Peredo, MD. « Itchy, Irritated, Rashy Scalp After Coloring Your Hair? Try This!